In these videos I am a/b comparing two different guitars side by side: Mark Knopfler’s famous sunburst Schecter Dream Machine Strat and my pink part-o-caster, built from a Japanese Squier body in metallic pink with a nice bird’s eye maple neck I bought on ebay some time ago (actually a noname product), equipped with the loaded Schecter-style pickguard with the F500T pickup replicas, and with a prototype of the coming brass Dream Machine tremolo bridges (to be released as it seems at the end of this month, note that this prototype is not finished yet, the release version will be available in chrome or gold plated, like Schecter). 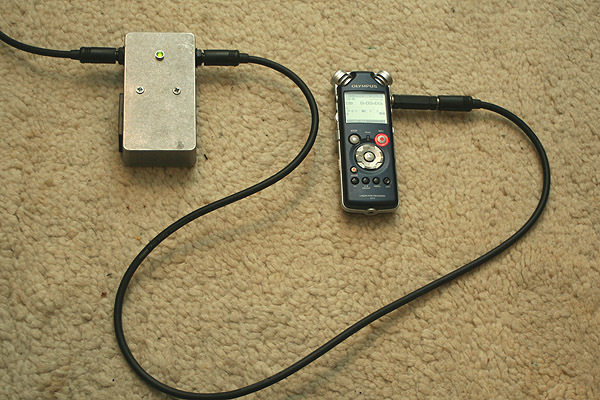 As I recorded the Schecter directly into a portable recording device (via a buffer that avoids the normal treble loss you will encounter when recording a guitar directly into such a device), I could do the same later with my guitar, which means both were recorded not at the same time and in different countries, but with the same cable into the same buffer and into the same recorder. I then re-amped both guitar samples with the same software amp, of course with 100% all identical settings, not even a volume match. 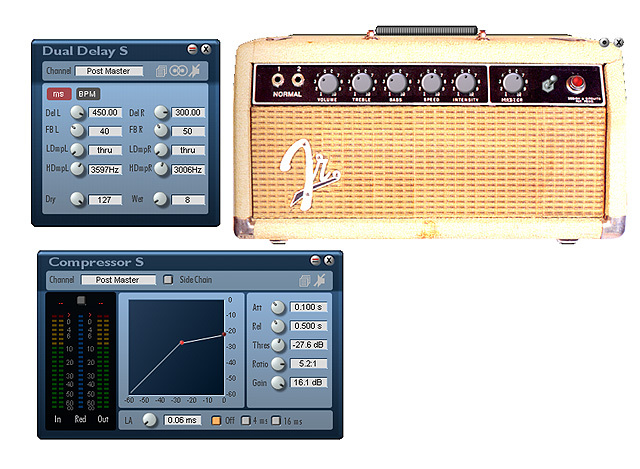 This way I got two absolutely comparable files, with the same signal chain except the guitar itself. When I had the chance to play the Mark Knopfler Schecter, I filmed about 20 minutes. I tried to play the same licks on my guitar so that I can edit both videos to put the same licks side by side for ideal comparing. 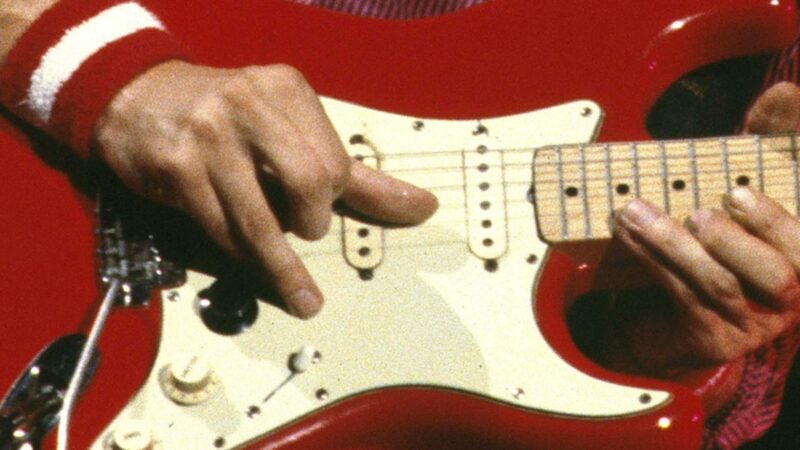 This video might also be of great help to see in how far it is the guitar that matters (“Do you need the same guitar to get that sound?”), or do only all the other sound factors matter, or just the player (“It’s all in the fingers”). All in all I am pleased with my 1,000 Euros guitar against such a famous piece of rock history, however, there are moments when that Schecter sounds so beautiful, just listen to the tone on the Tunnel of Love licks (2nd video towards the end, well, it IS the Tunnel of Love guitar (live version) 🙂 ). Why do certain pickups like Stratocaster pick-ups from the 50ies or the Schecter F500T die so often? Wow your strat sounds wonderful but the the Tunnel of Love licks on the Schecter brought tears to my ears. Very emotional song that means a lot to me. I have heard that Mark no longer plays this song live as it was a favourite of his late father. You are a very lucky man and you play beautifully. Both sound great, but the Squier is slightly brighter and (I feel) sounds more “stratty” in the traditional sense. The Schecter is a little darker. Neither is better, but I think your Pink Strat would probably satisfy the purist more. Great work! It would be great to hear the final solo complete with the Schecter guitar, and the comparision with your strat. Hi Ingo, very very good video. The main reason of little differences (as Erik said) I think depends on the density of wood, not about pickups. In any case they are very little differences, in a live performance you can’t hear this. It could be interesting hear differences of these F500T with 500k and 250k (classic strat) potentiometer..
Sure, both guitars even have different body woods so they cannot sound 100% identical.